“Espace Blanche“, contemporary art gallery, hosts a new young talent every month, in the open space you find behind the Grand Place, rue du marché au charbon, Bruxelles. 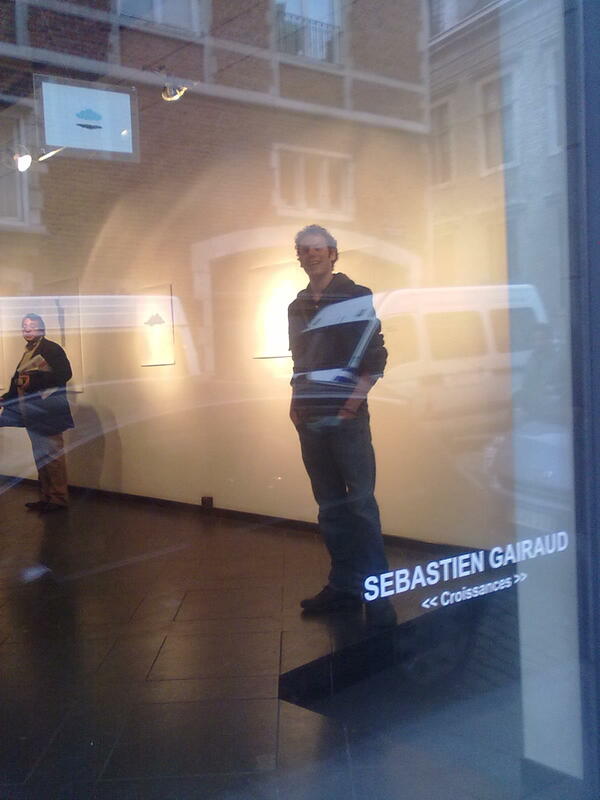 For the whole month of May “Espace Blanche” will give the floor to Sebastien Gairaud, Beaux Arts student from the South of France, who exposes in the capital city for his first time. “‘Croissance’ (growth) here defines not only the organic state of these drawings that develop on leaves, but also the way ideas flourish and interact to each other in order to shape new figures and forms”, his presentation reads. It’s interesting how contemporary communication follows similar patterns of development, until it seems not possible anymore to distinguish the roots from which the leaves (a mass message) originated. Multimedia-popular-street-institutional-visual-info communication grows up and never dies because it was never actually born.